A leading North American Human Capital Management firm that services boards of directors and senior management by providing transformational HCM governance advisory services and technology. 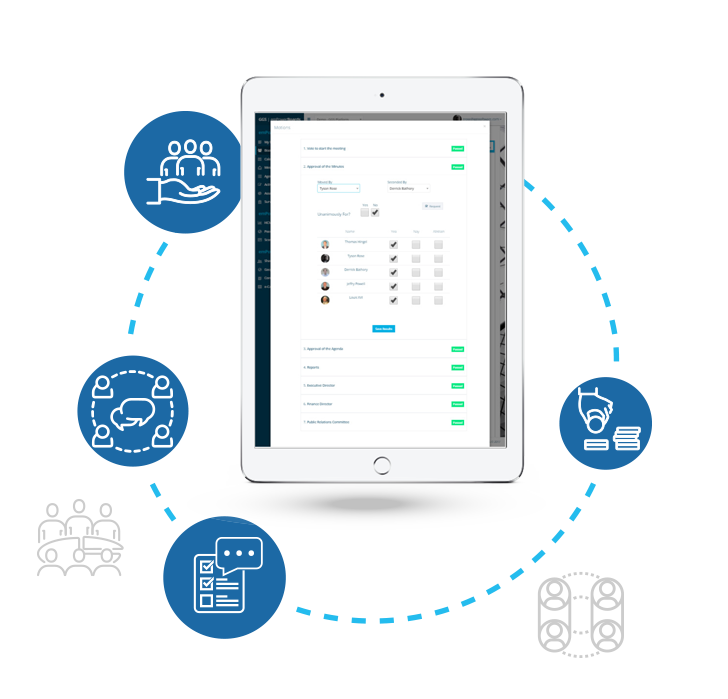 Revolutionizes how boards prepare for and conduct board meetings; delivers peer compensation data and scorecards to build executive management incentive plans; and provides stakeholder oversight and automated proxy/survey tabulation.
" I have served on the OMERS Board for almost seventeen years and have dealt directly and indirectly with almost all consulting firms focused on board and executive team performance; and I can say with conviction that none compare to Global Governance Advisors." Does your Board of Directors impact organizational success? Does your Senior Management compensation deliver the outcomes that meet your organizational goals? How can your organization address governance and risk mitigation at the board, senior management, and stakeholder levels? 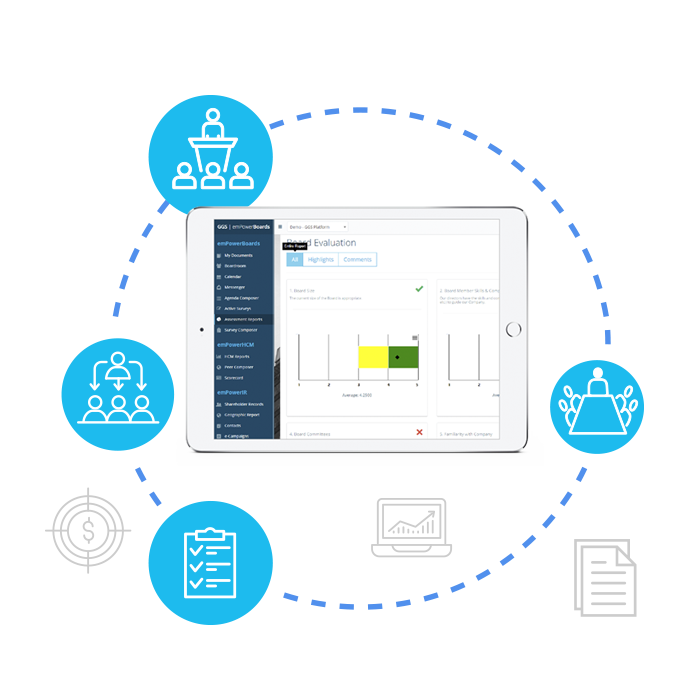 Is there a better way to improve oversight of stakeholder engagement activity and make valuable information readily available to the Board in real-time?